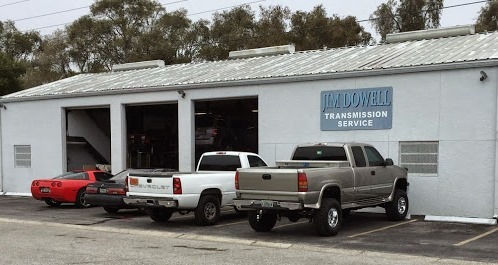 Jim Dowell Transmission Repair Service located in the heart of Sarasota provides the highest quality transmission repair services and repairs in the Suncoast. No job too big or small! As a leader in our field, we are prepared to handle all of your transmission repair needs, taking a job from start to finish with a precise diagnosis, competitive estimate, and skilled repair work. We use the most innovative diagnostic scan tools to determine the problem while specializing in rear wheel, front wheel, all wheel, and 4×4 transmissions for foreign and domestic vehicles. Our eight-lift shop allows us to promptly accommodate large fleet vehicles as well as out-of-town travelers. We recognize it can be a stressful time when faced with unfamiliar auto repairs, but we promise to patiently and explicitly walk you through the process. As a family owned and operated business, it is our utmost concern the work we do will sustain longevity and safety for our customers and their families.